Every day, Americans exchange billions of dollars in small transactions, buying everything from lunch to newspapers with small coins that range in value from one cent to $1. The transactions are so much a part of people’s routines that they typically take for granted the coins used as mediums of exchange. This is unfortunate given the stunning artistry that goes into American currency, even in the smallest values. This 2018 U.S. 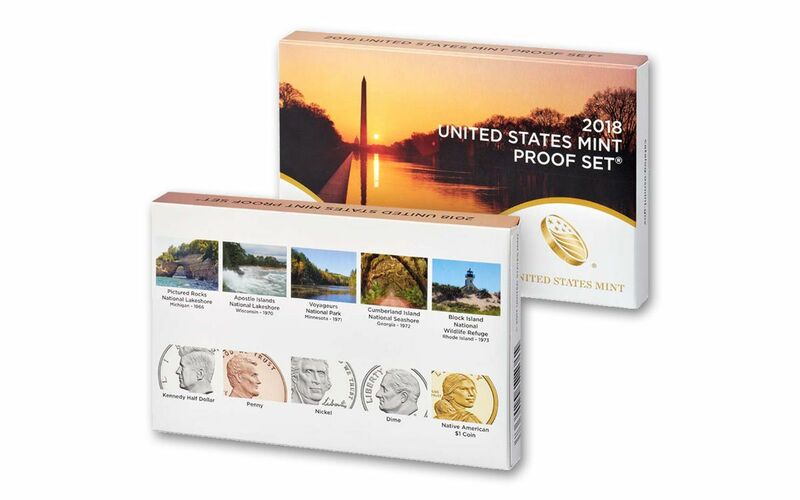 Proof Set gives collectors the chance to appreciate this artistry just as it was intended on coins with stunning proof finishes. FEATURING ALL COINS FOR CIRCULATION -- This 2018 U.S. Proof Set consists of each of the ten coins to be released for circulation in 2018. This includes a Native American dollar and five America the Beautiful quarters. PHENOMENAL PROOF FINISHES -- Each coin in the set has a stunning proof finish that brings out every detail in its design. U.S. LEGAL TENDER -- Each coin in this set is legal tender in the United States. Five of the coins are America the Beautiful quarters. The others are a dollar, a half dollar, a dime, a nickel, and a penny. 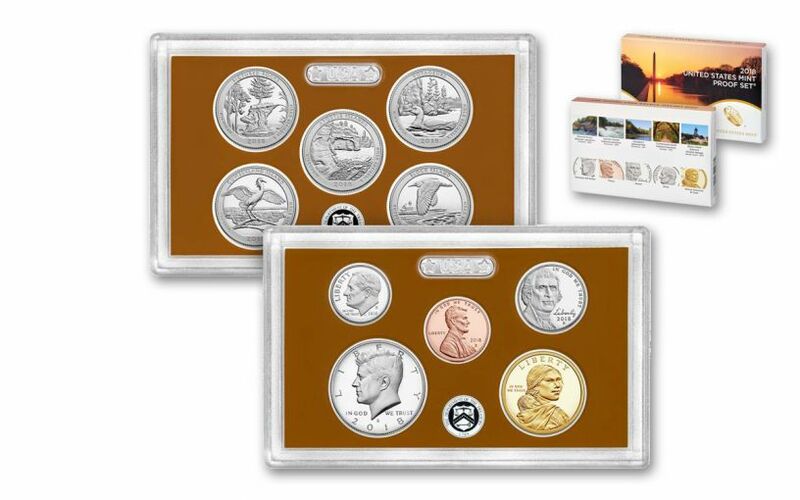 ORIGINAL MINT PACKAGING – These coins come in their original packaging from the U.S. Mint. This includes two display pieces, one of which is used for the quarters and the other of which is used for the other coins. ONE YEAR ONLY MINTAGE – This set will only be struck in 2018. After that, it will never again be issued. While each of the ten coins in this U.S. Proof Set is beautiful in its own right, the five one-year only America the Beautiful quarters are certainly the highlights. These coins constitute the ninth year of the series. The Midwest features prominently, with Michigan, Minnesota, and Wisconsin all represented, while coins from state parks in Georgia and Rhode Island rounding out the five. If you are looking for a way to appreciate the stunning, often overlooked designs of America’s circulated coinage, don’t miss your chance to own this 2018 U.S. Proof Set. Order now at GovMint.com!